Titles you've borrowed from the library will automatically be returned at the end of their lending periods. 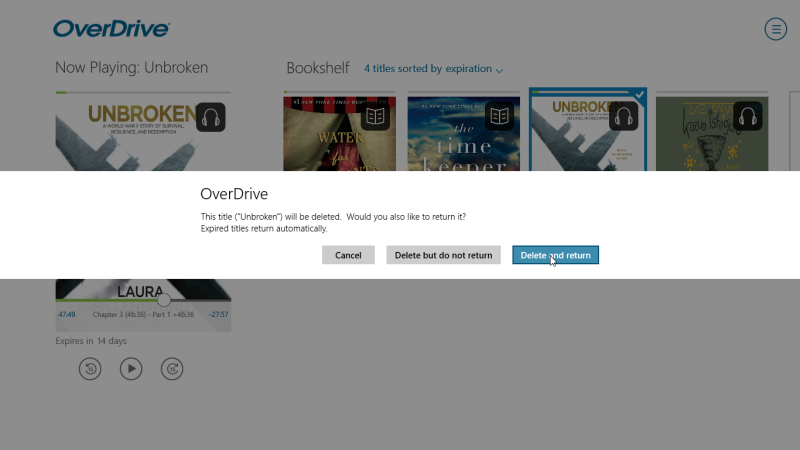 However, if you finish eBooks or audiobooks before then, you can return them using OverDrive for Windows 8/10 (to free up space in your library account). 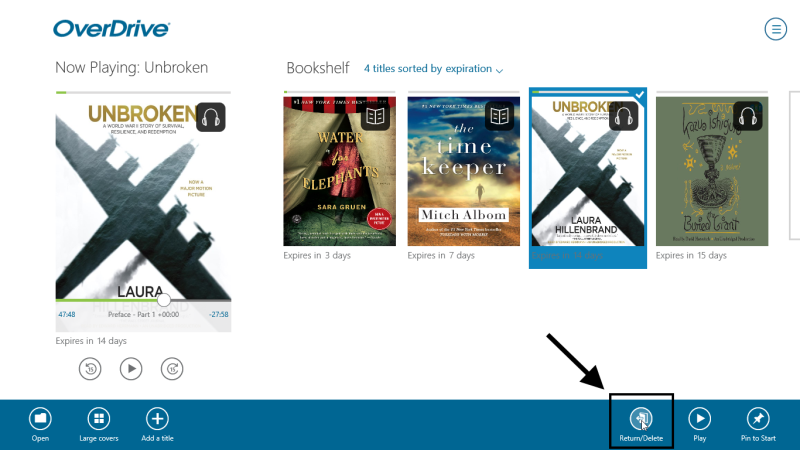 From your app Bookshelf, right-click or swipe down on the title you want to return. Select Return/Delete from the bottom ribbon to see the return options. Select Delete and return to return the title to the library and remove it from your device. Select Delete but do not return to delete the title from your device. It will stay in your library account until the end of its lending period, so you can download it again, if you'd like.